Coyote Hills Regional Park was dedicated to public use in 1967. Comprised of approximately 1,000 acres of marshland and rolling grassland covered hills, this busy park is located along the eastern shore of San Francisco Bay, northwest of the cities of Fremont and Newark. The most popular visitor activities by far are bicycling, walking, bird watching, jogging, nature exploration, and picnicking. Well used every season of the year, spring, summer, and fall tend to be the most popular. But the park's winter beauty is wonderful to behold. Background: The park's rich and varied history includes Mission and settler ranching and farming activities, salt production, a duck hunting club, a dairy, rock quarrying, a military NIKE missile site, and a biosonar research facility. Now a Regional Park, this area is preserved for recreation, and educational and nature experiences for all to enjoy. The East Bay area's original inhabitants were the ancestors of the Ohlone Indians, hunters and gatherers whose skills enabled them to live well off the land's natural bounty. In those days, tule elk roamed the land, condors soared overhead, and sea otters and fish were abundant in the Bay. At Coyote Hills Regional Park, some of this rich wetland is preserved, along with 2,000-year old Tuibun Ohlone Indian shellmound sites with fascinating archaeological resources. The Habitat: Cattail rimmed marshes give way to grassy, oak-studded shoreline hills with panoramic views of south San Francisco Bay. Elevated boardwalks lead to tranquil ponds where northern pintails, gadwalls, and California gulls rest and breed. Shorebirds such as snowy plovers and American avocets are year-round residents. Riparian vegetation lining ponds and Alameda Creek reveals raccoons and gray foxes, but camouflages American bittern and black-crowned night herons. Grassy uplands attract back-tailed deer, great-horned owls, northern harriers, and white-tailed kites. Coyote Hills Visitor Center contains educational displays and exhibits as well as the Possum's Pocket Nature Store. The exhibits portray the Ohlone way of life, and include a tule reed boat constructed by park staff and volunteers using Native American methods. Other exhibits cover the park's natural history and wildlife. The Coyote Hills Visitor Center is open 10am to 4pm, Wednesday through Sunday. Open houses, guided tours, and school programs are offered at a more than 2,000-year-old Tuibun Ohlone Village site. During these programs, visitors can enter an Ohlone-style family house, sweat house, and shade shelter. 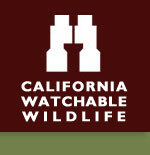 Public access is through naturalist-led programs or reservation only. Call the visitor center at (510) 544-3220 for information. A bird and butterfly nectar garden is located adjacent to the visitor center. Currently the garden is open to the public Wednesday through Sunday, 10 am to 4 pm. Several naturalist-led educational programs are offered in the garden during the year. Contact the interpretive staff at (510) 544-3220 for additional information. This 12-mile trail stretches from the Bay east to the mouth of Niles Canyon, and borders Coyote Hills on the park's north side. It is actually two parallel trails, with an equestrian trail on the northern levee and a bicycle trail on the southern levee, connecting with the Coyote Hills' Bay View bike trail. Hikers are welcome on both trails. Wildlife and Where to Find It: More than 200 bird species, four endangered, many nesting. Waterfowl, shorebirds, wading birds, songbirds, birds of prey, and deer are seen year-round. Peak viewing of waterfowl and birds of prey in fall and winter. The park offers two first-come-first-served picnic areas. One located at the visitor center, the other at the Quarry Staging Area. Both have picnic tables, barbecue braziers, water, and shade. A reservable group picnic area is also available at Hoot Hollow. One reservable group camping site is available at Dairy Glen. Picnic tables, braziers, a campfire ring, water and shade are available. Chemical toilets are also provided. One reservable group camping site is available at Dairy Glen. This 50-person group camp, named after the dairy farmers of the 1800s, has recently been completely upgraded and renovated thanks to funding from the Regional Parks Foundation. The group camp now includes three shade structures, additional picnic tables, a drinking foundation, fire pit, hand washing station and vault toilets. Upgrades created greater accessibility so the campsite is now fully ADA compliant including a new hardened path that makes it easier for guests using wheelchairs and mobility devices to access the shade structures and other components of the camp. Nearby Viewing Sites: The waters to the west and south of Coyote Hills are part of the Don Edwards San Francisco Bay National Wildlife Refuge, operated by the U.S. Fish and Wildlife Service. The Shoreline, No Name, Apay Way and Alameda Creek trails provide access to the Refuge for hikers and bicycle riders. Apay Way leads to the Refuge Visitor Center via a bridge over the top of the Highway 84/Dumbarton Bridge toll booths. There are two disabled parking sites at the Visitor Center's parking lot. Both of the public restrooms at the Center have an accessible stall. Accessible water fountains at the Visitor Center and throughout the park. There is one wheelchair accessible chemical toilet in the Center's parking lot and one at the Quarry Staging Area. Special Tips: Visitor Center hours: Tuesday - Sunday, 9:30am to 5pm. How to Get There: Coyote Hills is at the west end of Patterson Ranch Road/Commerce Drive in Fremont. From I-880, take Highway 84 west, exit at Paseo Padre Parkway, turn right, and drive north about one mile. Turn left on Patterson Ranch Road. This is the park's entrance road and will take you to the picnic areas and visitor center. Parking fees may apply.